Social media dictates the way many of us live our lives. From how we communicate, to how we digest news, to how we perceive political discourse. An emerging role that social media is playing is how employees are managed, as well as how employers govern staff with policy in the digital age. 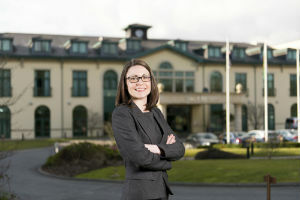 This was the message from Cerys Ashley, a human resources and employment law specialist, who delivered a seminar on social media misconduct at The Vale Resort to delegates from public, private and third sector organisations. Mrs Ashley, who heads up Ashley HR, said: “Reputational management is key to all organisations, and the risks that brands are exposed to are very real. Social media, in varying degrees, is an open source; so the public nature of posts and communications is a huge issue in terms of worldwide accessibility. Examples were discussed and analysed by delegates from real-life cases in the UK where organisations had dismissed staff due to comments they had made on social media. Each case was reviewed, and debated on its merit, as well as considering the relevant employment legislation and case law, to determine whether the dismissal of the employee was fair. Cerys Ashley was speaking to delegates who attended the Social Media Misconduct seminar held at The Vale resort on Tuesday 5th July. Ashley HR offers a range of HR services including advice and support, disciplinary and grievance investigations, workplace mediation, employment tribunal representation and training. Cerys immediately understood what we needed and within a short space of time was able to provide us with robust contracts for the team and a comprehensive handbook. We now have the confidence to continue our expansion knowing that our policies and procedures are in order and ready for the growth to come.